Tomorrow I am flying to La Palma for a last observing run at the Mercator telescope, so maybe this is a good time to write a short summary of the past one and a half months. 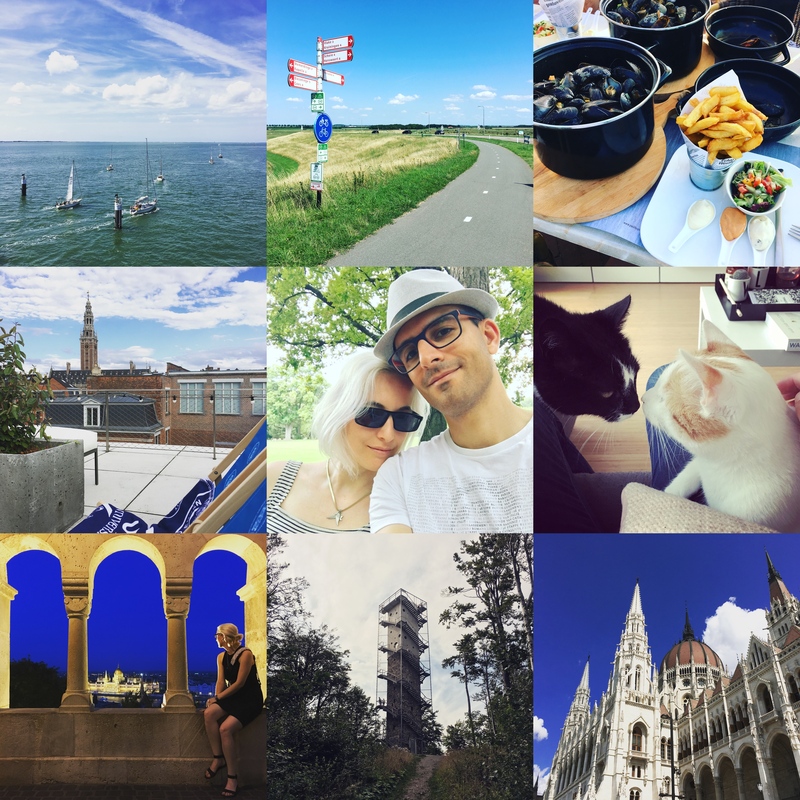 After coming back from Scandinavia we spent a weekend in Zeeland. Here I had a great (and pretty fast) ride around the Oosterschelde, enjoying the amazing bike infrastructure of the Netherlands, then on the evening we had delicious mussels with fries overlooking a small harbour. As usual, I did some kiting too before driving back to Leuven on the following day. I did not work too much on the Leuven Sky Atlas lately, except for a few refinements, but I ordered a bunch of other sky atlases to be able to make a better comparison to them. So now I own all the sky atlases that I would have loved to have when I was an active amateur astronomer more than a decade ago… I would actually like to be more involved again, as astrophotography really interests me, but the Belgian climate plus the high amounts of light pollution are far from optimal for it, not to mention it would be another pretty expensive hobby. At the beginning of August I have been taking care of our friends’ cats for a week, which was really nice, and they loved me even after they got fed ;) Thanks to Clio we were VIPs on the roof bar of the Museum of Leuven for one evening during the Midzomer festivities. Here we had dinner while listening to a concert, then we ended the evening with a walk around the exhibitions of the recently renovated museum (which was actually my first time inside). During one of my standard evening training rides the wind direction was perfect to try to get the KOM (king of the “mountain”, or simply the best time on a given stretch of road) on one of the sprint sections along the Demer, so after getting up to a good starting speed I opened my sprint. As soon as I started pedalling out of the saddle I felt a sharp pain at the side of my left knee, but I thought that it was probably just hit by a small stone or piece of wood that got picked up by my front wheel, so I kept pushing to actually break the previous record by one second (completing the section in 34 seconds at an average speed of 57.5 km/h, reaching a heart rate of 195 bpm for the first time in 2 years). During the last seconds of the effort the pain got more intense, and as soon as I stopped I could see the bee sting hanging out of my skin. I pulled it out, and kept the rest of the ride on a low intensity. My previous similar incident with a bee happened before we had internet (somewhere in the early nineties), but luckily I had no severe reaction to it this time either. After a week off the bike the first time back in the saddle on an evening training session at the race track of Zolder was very painful, so I requested a switch in the lineups for the 12 hours of Zolder (moving from our 2nd team to the 3rd, the “Fun Team”) for the following Saturday. The 12 hour race itself was really great, we had a lot of people and supporters under the Squadra Tornado tent, and my legs were also surprisingly good. I did two shifts for a total of a bit more than three hours with an average speed of 40.4 km/h. 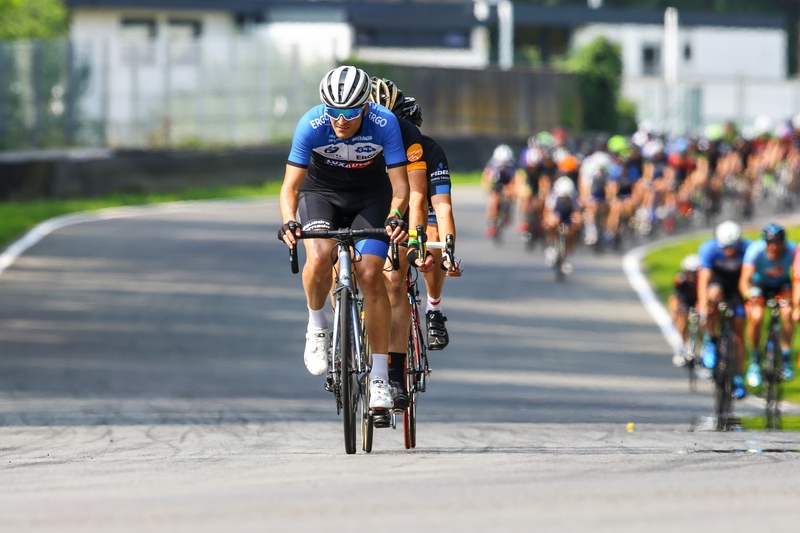 I managed to stay with the main peloton in both sessions, in the first half of the second one I even worked a lot at the front of the group, and closed several gaps to small breakaway attempts (then almost got dropped because I pushed myself a bit too far, but luckily I managed to hang on). Our best team finished just below the podium, while we ended up at a 40th position overall (out of 207), and 4th (out of 12) in the under 40 team of 8 category. I was really happy about being able to stay with the fast group the whole time, for me that was already a huge success! The great legs stayed with me for a few more days, closing the summer season with a good ride on the Vlierbeekriders Classic. On the gaming departement, I am playing The Legend of Zelda: Breath of the Wild these days on the Nintendo Switch, and I love both the game, and the portable console. I have loads of plans for La Palma, so maybe there will be a few more interesting posts again. This entry was posted in Uncategorized and tagged cycling, dailystuff, gaming, holidays, postdocinleuven on September 5, 2017 by Péter I. Pápics.